The CGOA 2013 Design Competition Committee is ready to receive your designs. You may now complete your entry materials and ship your package to arrive by the deadline, 6 September, 2013. Here is the electronic entry form. Please fill out one entry form for each separate design or ensemble, wait for the confirmation e-mail message, print one hard copy of that message to enclose with your entry. Don't forget to sign the check! Fashion, sponsored by Interweave Crochet: garments fitted to the body, including sweaters, tops, jackets, skirts, gowns and dresses. Accessories, sponsored by WEBS, America's Yarn: larger fashion accessories not fitted to the body, including wraps, shawls, and capes. Small Accessories, sponsored by Tulip Company: anything small scale, socks, scarves, cowls, hats, bags, belts and jewelry. Afghans and Home Decor, sponsored by Red Heart: any and all afghans, throws, blankets and bed or sofa covers and any décor items not in thread. Thread Crochet, sponsored by Boye and The Crochet Dude: anything made with crochet thread or lace/fine weight yarns, including doilies, baby items, garments and accessories. Artistic Expressions, sponsored by Jenny King Designs: designs more artistic rather than functional in nature, including free-form and mixed media pieces, hangings, sculpture, wearable art, amigurumi and novelty items. If you can't decide which category is best for your design, not to worry. 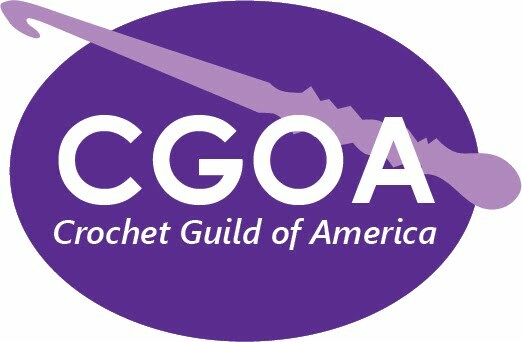 The committee and judges Marcy Smith, Editor at Interweave Crochet Magazine, Bobbie Matela, Creative Director at Coats & Clark; and Renee Rodgers, Designer and owner of CrochetRenee Designs, will place your entry in the category where it is most competitive. Hope to see your brilliant work soon. Best of luck!